A communication satellite is often referred to as “ComSat" for easy identification in the vast realm of human technology terms. The very foundation of today’s modern technologies relying on wireless transmission and reception depend on these artificial satellites. In general, the function of such facilities is to station in space so that they can serve as “reflectors" of signals coming from one location on Earth to another. The first satellite launched in space is the Sputnik 1 in 1957. The equipment was integrated with a radio transmitter to relay signals back to Earth. On the other hand, the United States also had its share of first satellite launching when it shot Project SCORE into space. Unlike the Sputnik 1, a tape recorder was imbedded in its circuit and serves to store voice messages or even forward them to another location on the planet. What are the types of satellite orbits? There are at least three special types of orbits employed by modern satellites. These are the Geostationary Orbits, Low-Earth Orbits and Molniya types. 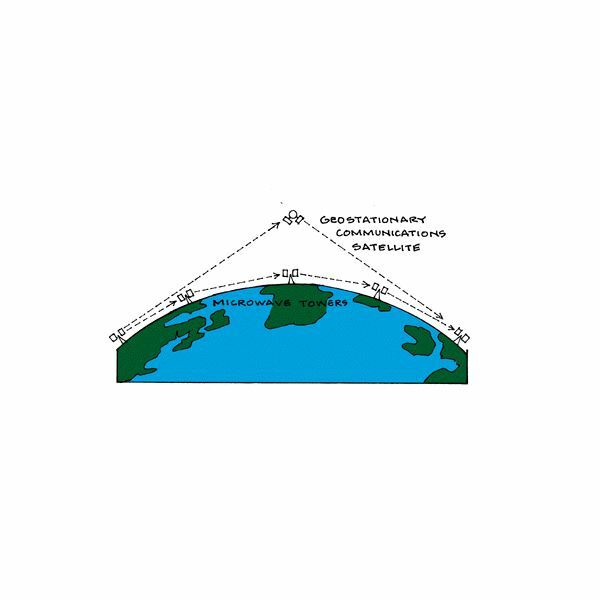 A Geostationary Orbit satellite provides an illusion that it is stationary in a fixed location in space. Actually, it revolves around the planet once a day in the equator. It is useful for telecommunication devices especially those that rely on stationary antennas since there is no need to install special equipments for such facilities just to track the satellite. Meanwhile, Low-Earth Orbit satellites are located at least 400 Km above the Earth. Because of their lower altitude with respect to the ground, they can circle the Earth in only about 90 minutes. These satellites are less expensive and require less energy to receive and transmit data. On the other hand, the Molniya Orbit group of satellites operates at a certain inclined position suitable for Northern Altitudes. These Comsats were designed so that they will take more time servicing Northern latitudes. Molniya satellites are usually used for Television broadcast transmissions and telephone relays over the Russian state. The modern day satellites we use today are more efficient and could accommodate larger data inputs. Add to that the versatility in which some can even take photos, transmit signals for GPS devices and even monitor weather conditions. Truly, the humble beginnings of satellite launching have come a long way to serve mankind. Soon, we can expect to acquire transmission services which are tailored to each and every need of individual users.